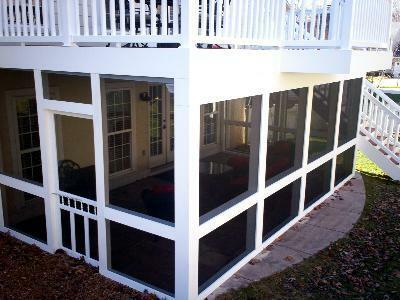 Use the valuable area under an elevated deck and double your outdoor living space with an underdeck design. Using the same design concept as the footprint made by a two-story home, underdecking is a way to maximize a smaller lot by creating a two-story outdoor living space. 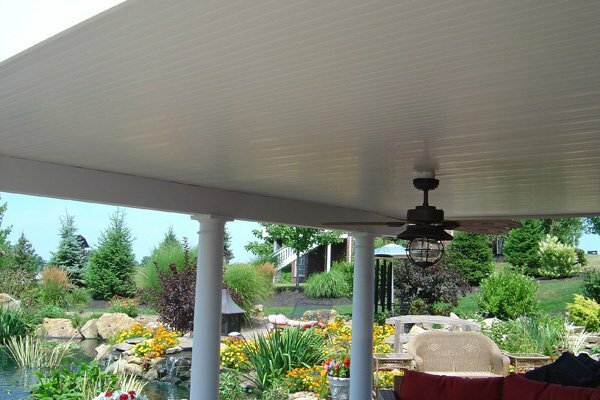 With an under deck ceiling constructed using weather-proof vinyl panels, knowledgeable contractors can build-out the space under an elevated or two-story deck, creating an open or screened outdoor room, or even a storage area if you prefer. Underdeck vinyl panels are attractive, simple, efficient and cost-effective. By installing underdecking, water is drained away from your outdoor space allowing for the design and construction of an entirely new living area. And to ensure aesthetics and quality for your outdoor space, reputable builders like Archadeck, will use branded materials from trusted vendors. You’ll have a quality, bright, comfortable, shady and dry space — outside — that can be used throughout the seasons. Add a ceiling fan, lighting, electrical outlets, wireless access and all-weather outdoor furniture and the space will allow you to live just like it’s indoors — but outdoors, often becoming a backyard focal point and the favorite gathering place for the family. Let Archadeck help you convert that useful space under your deck with underdecking. 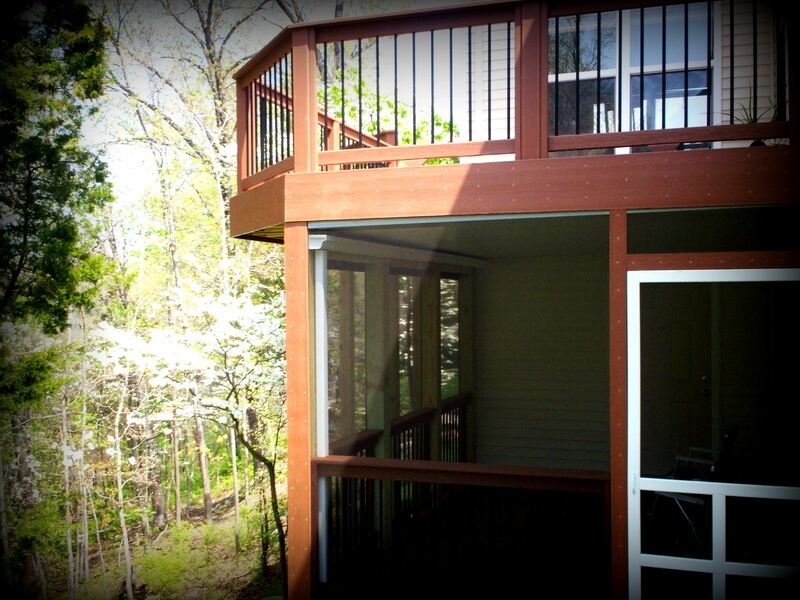 To view pictures of decks and deck accessories such as underdecking, visit us on the web, west-county.archadeck.com. As a leading St. Louis deck builder, we also design and build porches, pergolas, gazebos, screened enclosures, pool and spa decking and more. We serve the Greater St. Louis area including St. Louis and St. Louis County, St. Charles and St. Charles County and parts of Illinois too. Call our West County offices, anytime, 636-227-0800. We look forward to working with you! « St. Louis Deck Builder: Refresh or remodel your outdoor space.